MoviePass has launched a new unlimited plan, and the company seems to think it has fixed what it screwed up with its original unlimited plan. First and foremost MoviePass has learned that it needs to charge more money. It’s also included plenty of options for it to impose some limits if a user gets a little too unlimited with their theatre-going. On Monday the company announced the new plan, which it is calling “Uncapped.” Under the Uncapped plan, subscribers can watch one 2D film a day, for $19.95 per month. A “limited time” offer gets you that same deal for just $9.95 per month with a one-year commitment. 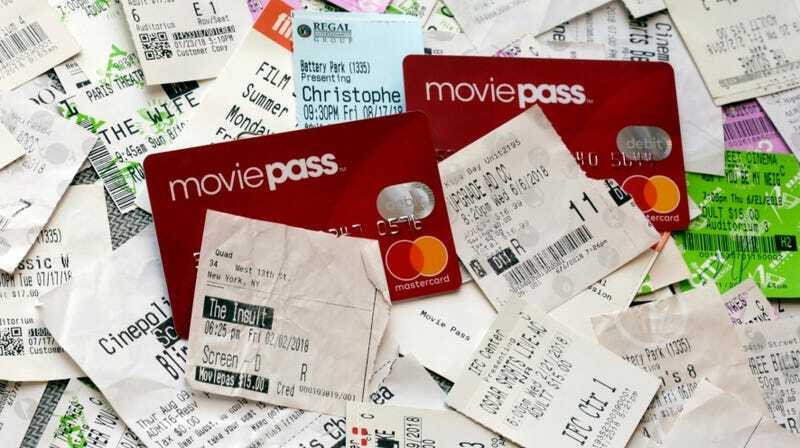 At this point, MoviePass has changed its plans too many times to count. Its last attempt at an unlimited plan, which offered a movie a day for $10 per month, was derailed in part because the company wasn’t prepared for the overwhelming number of people who signed up for the plan. It always expected to lose money while it convinced theaters and movie studios to agree to profit partnerships in exchange for promotion—it just didn’t expect to lose so much money so quickly. Now the company plans to avoid entering a death spiral by setting up some safety nets. One might call these safety nets, “limits in case of an emergency.” In a public statement about the new plan MoviePass CEO Mitch Lowe suggests the company has learned from its mistakes. But it seems to place much of the blame on people who violated the company’s terms. But the most important passages explain that MoviePass has the right to impose “restrictions” based on a range of factors including “the individual user’s historical usage.” That could easily be interpreted as a protective clause that will only be used if your account is suspected of being involved in some sort of fraud. The next clause in the terms of service is more concerning. That line gives MoviePass the right to throttle a user’s filmgoing options in the event that an individual’s use of the service has an adverse impact on “MoviePass’s system-wide capacity or the availability of the Service for other subscribers.” One thing that would certainly have an impact on the availability of the MoviePass service is if it was going bankrupt. The bottom line is that MoviePass fans can rejoice in the news that their beloved service is back in a way that resembles its most popular incarnation. But know that it could switch things up at any moment. Sometimes MoviePass changes—but in almost every way, it just stays the same.